Tokenization is the unique element that makes decentralization possible. The liquidity of transactions on the blockchain platform and around the entire ecosystem is powered by tokens. On the blockchain, utility tokens are services or units of services that can be purchases and used to access a specific platform or service as the case may be. They can be compared to API keys. The holder of any given token has the right to claim the underlying asset of such token, and these tokens can be passed around between the holder and other people. Every transaction of those digital tokens is recorded on a blockchain, providing full transparency about the ownership and security at the same time without needing a central authority or clearinghouse to regulate anything which in return saves costs and time. All prospective campaign requests must be guaranteed and supported with an amount of tokens equal to the total price of the campaign in SMSTO Tokens. In other words, the aggregator calculates the price of the entire SMS campaign and deposits the required amount of SMSTO into their account in the blockchain. This amount is used as a security deposit for the request and provides input for transactions. These tokens will eventually be used for “Messaging Agreement” transactions during the auction. 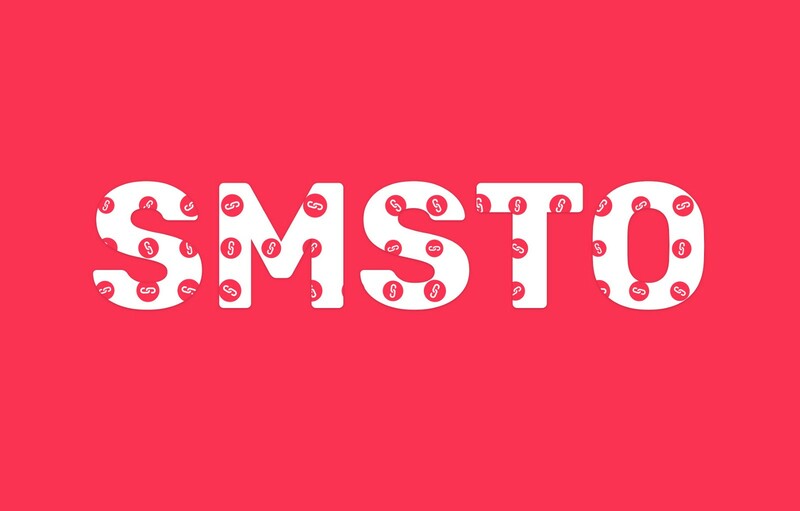 SMSTO is the domestic currency of the ​​platform, which will provide the financial side of the project, and also play a very important role in the mining and commission system of the Nodes. Being an ERC20 compliant token, in order to purchase SMSTO tokens, users need to have an Ethereum wallet and access to their private keys so as to be able to receive SMSTO once they are launched. Users can buy SMSTO Tokens with Ethereum. SMSTO will be transferred to Ethereum wallets immediately upon purchase. The number of SMSTO on the balance of the participants of the platform will determine their positions in the distribution of traffic. This means that the miners with a larger balance will be able to sell more SMS per day and, accordingly, will earn more on this. Reciprocally, Nodes with a larger balance will receive a higher percentage for each transaction. And this, in turn, will ensure a high level of interest in the crypto currency from both sides, actively participating in the process. On the other hand, the need for SMSTO will be on the part of companies that will be interested in SMS-sending. They need a currency to ensure the implementation of their SMS-campaigns. The Miners and Nodes are interested in maintaining a certain level of the SMSTO balance in their account in order to stay in the top of the main process. At the same time, companies that need to send text meessages need SMSTO to pay for their further SMS campaigns. Going by the natural trend of the token and cryptocurrency market, the organic value of market entities are determined by the market forces of demand and supply. Therefore, with the expected continuous demand of the SMSTO token to power the SMSCHAIN ecosystem, we can look forward to a significant increase in value of these token over a short period of time.